Want to know the hardest part of having a good cardio workout? Getting your heart rate up without it going too fast or too slow. When many people are on the path to losing weight, it isn’t something many people talk about or consider. I didn’t think about it myself until my husband explained it to me on our exercise bike, and I tried hard keeping my heart rate in the ‘safe zone’ during the tougher part of the workout. It was then that I realized that I may need to invest in a heart monitor to make sure both of us get the best workout possible as we work on losing weight. As I was researching the different monitors on the market, I was approached by MIO, who asked me to review the new MIO Alpha heart rate sports monitor. Curious and, as always, loving my tech, I knew I had to try it out! MIO Alpha: What is It? Want to make your workout as effective as possible? If so, we think you will love the MIO Alpha – the world’s first strapless, continuous heart rate sports watch. This monitor is designed for maximum performance while still being comfortable, giving accurate readings at even top performance speeds. With this innovative technology you no longer have to wear an uncomfortable chest strap again to properly monitor your heart during exercise. This highly accurate technology uses two light beams and an electro-optical cell to “sense” the volume of blood under the skin, which along with a sophisticated algorithm are applied to the pulse signal to give the heart’s true rhythm while exercising. As well, the MIO Alpha works with many popular iPhone apps through Bluetooth to help you properly monitor your fitness activity and calories burned. Once you have tried his awesome heart monitor, you will see why fitness experts are switching to the MIO Alpha! I have to say that I am a bit fan of the MIO Alpha. Before having this heart monitor, I didn’t realize how easy and fun it was to get moving and monitor my workout. After a while, it starts becoming a game where you push yourself further, trying to see if you can burn more calories and keep your heart rate at a point where you know you are getting the best safe workout possible. Best of all, it is very comfortable and easy to use, allowing you to focus on what’s important – your exercise. 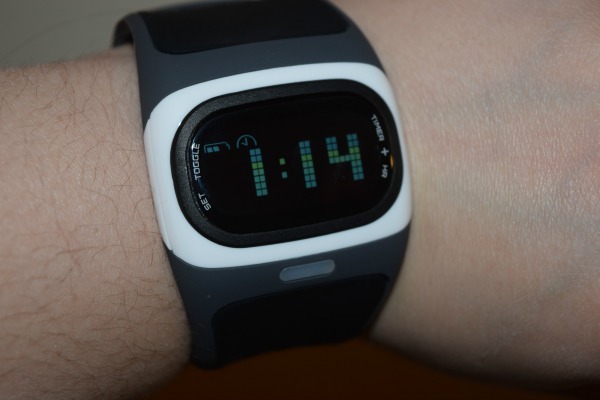 What I have to say makes this even better is the fact that it is a watch as well, allowing you to wearing this heart monitor anywhere, even while you are out shopping and trying to make it double as some extra exercise as well. Based on our own experience using this strapless heart monitor, we are excited to give the MIO Alpha an A rating. 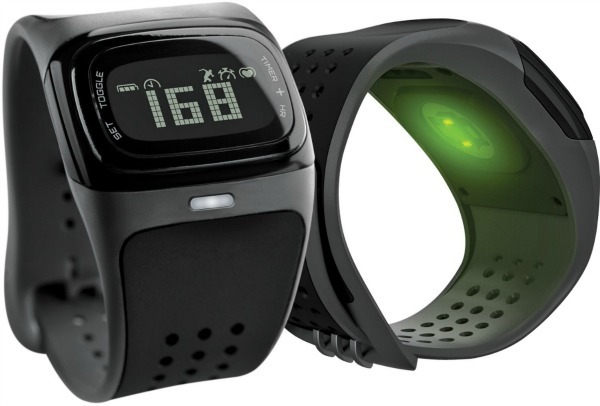 Would you like to purchase this awesome sport heart rate monitor? You can buy the MIO Alpha at many well known retailers, including Best Buy, the Apples store, Amazon.com or the Mio Global website. To see the closest retailer to you, make sure to check out the store locator available on their website. I love these watches! they are so awesome to help with exercise. This would be so perfect for my husband. He would really like something like this and it would make a great Father’s Day gift. This is very neat. It looks so stylish too. This is really nice. Thank you for your review. This is great! I love that it’s just a watch and not cumbersome with a chest strap. This looks like a wonderful heart rate monitor. For awhile, I used an iPhone app but I don’t think it was very accurate. Thanks for this informative review. I am trying to exercise and lose weight but I never considered my heart rate. I really need to focus on my heart rate so that my exercise is not for naught. I would love to have the MIO Alpha Sport Heart Monitor. This sounds like a great monitor. It would be perfect for when I’m working out. I used to associate heart heart rate monitors with gym and awfulness. I’m learning now that when used on one’s own time, they can be a powerful tool for weight loss and health.